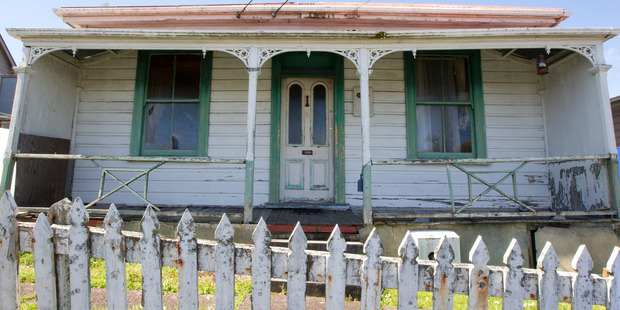 The debate on Auckland's out of control housing crisis is missing one critical factor. While some commentators actually realise it is the rising price of land that is the issue, most ignore it. If only there was a price on the holding of land, values wouldn’t rise so fast. The key is understanding that the Auckland Council was enshrined in legislation mandating that rates are struck on capital value. That financially disincentives building. For most of NZ history council rates were struck on land value only. This may be the reason that Wellington, Napier and Dunedin are relatively compact. 1. Encourages development and building because there is no financial disincentive to improving land. 3. Prevents leapfrogging where there are holes in the development. 4. Is progressive, favouring the poor. Property ownership is more concentrated than income so rich people end up paying more. 5. Stops land value from rising too fast. 6. Stops rents from rising as rents rise more if the landlord needs to pay extra rates if the house is upgraded. Section 13 of the Local Government (Auckland Transitional Provisions) Act 2010 requires the general rate to be set on capital values. In 1998 Pennsylvania changed its laws to allow urban authorities to split their property taxes into land tax rates and building tax rates. The cities that put more tax on land than on building all avoided property bubbles and prevented urban sprawl. Pittsburg survived and thrived after steel. Unless something is done to reverse the part of the legislation mandating for capital value rating, we will continue to have rising house prices, urban sprawl and inequality. We also have to get rid of Universal Fixed Annual Charges. The Shand Report of 2007 recommended this as it found them to be regressive. They also recommended getting rid of rating differentials and recommended everyone go on capital value rating. What a shame. Their recommendation to go on capital value rating was wrong, but the other two right recommendations seem to have been completely ignored. However rating systems, even when imposed on land values do not capture all the capital gain from holding land. It is important that a full rental is placed on land value and the revenue is shared by local and central government. A land based rating system can only go so far to capture the rental and stop it being privately captured.